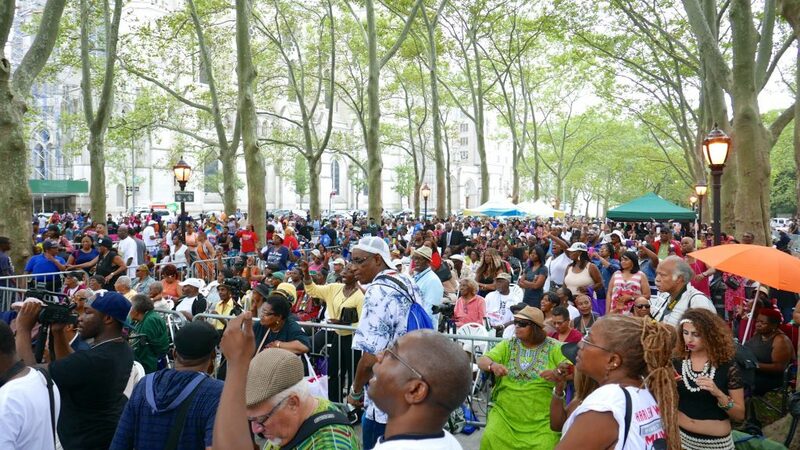 The Harlem community and beyond flocked to General Grant National Memorial Sunday for the official kickoff of Harlem Week called “A Great Day in Harlem.” The stage was filled with performers singing a variety of music all day, as well as vendors, arts and crafts, a fashion show and so much more. Today’s youth and fashion took center stage earlier in the day as the “Artz, Rootz and Rhythm Cultural Showcase and “Fashion Fusion” highlighting both American and international designers took place during the afternoon. One of the highlights of A Great Day in Harlem and many other Harlem Week events are the various vendors who come to showcase their product. The International Vendors Village offered everything from great food to jewelry, books, music, hats and t-shirts, the vendors give us the opportunity to support our businesses. I purchased a t-shirt from a sister and the words spoke to me. It read “You cannot love our culture & hate our people.” I am sure that statement resonates with many of you. The Gospel Caravan took the crowd to church yesterday and featured the McDonald’s Gospel Super Choir and their superb voices. Everyone who attended church earlier on Sunday received a double dose of the Lord through gospel music. James “D Train” Williams had the crowd jammin’ to his uptempo 1980s hits “You’re the One For Me” and “Keep On.” R&B group Force MDs slowed it down when they performed two of their biggest hits, the ballad “Tender Love” and the mid-tempo hit “Love Is a House.” You could definitely feel the love in the air and in the spirit of the crowd of thousands in Harlem. Ledisi headlined the concert sponsored by radio station WBLS and blessed the Harlem crowd with her smooth vocals and hits including the ballad “Goin Through Changes” and the uptempo “I Blame You.” Ledisi offered the crowd some inspiration from a time in her life where she felt she wasn’t pretty enough or good enough to make it in the music industry. It was her Mother who gave her the courage to continue and she penned the song “Alright” which she also performed. 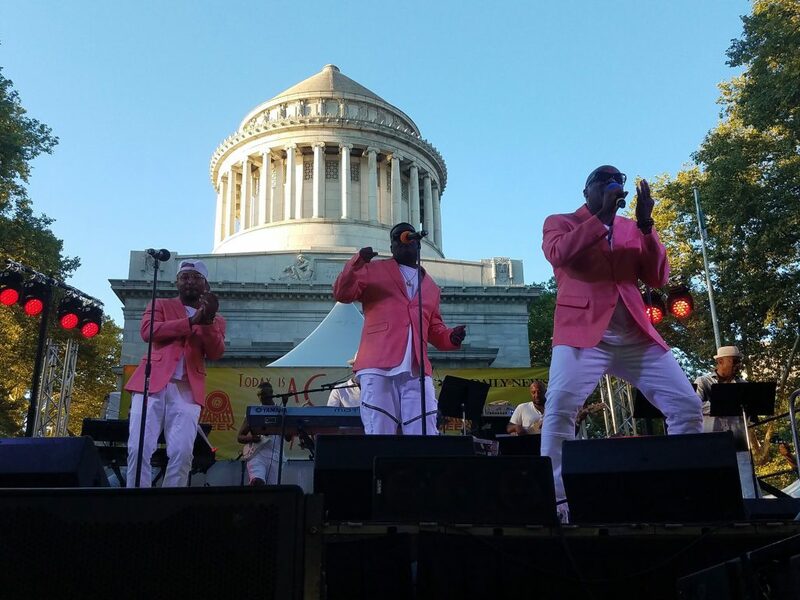 There were also musical tributes to legendary artists who touched Harlem like James Brown and Bill Withers. These tributes and the entire lineup were backed by the legendary Ray Chew, well known as the musical director for It’s Showtime at the Apollo and Dancing with the Stars.